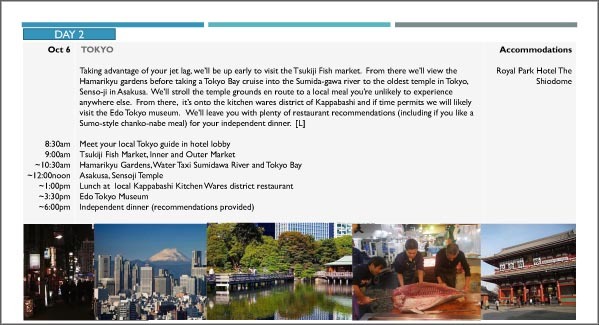 L ooking to visit Japan, but want something different than a pre-planned tour? We’ll be happy to put our local expertise to work to create a custom journey just for you. 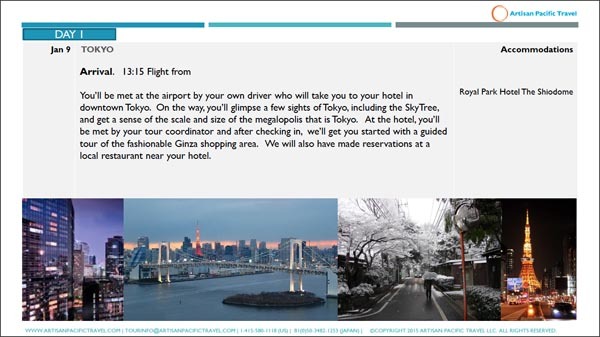 Our team specializes in making dream travel experiences a reality in Japan, planning truly one-of-a-kind custom luxury experiences. 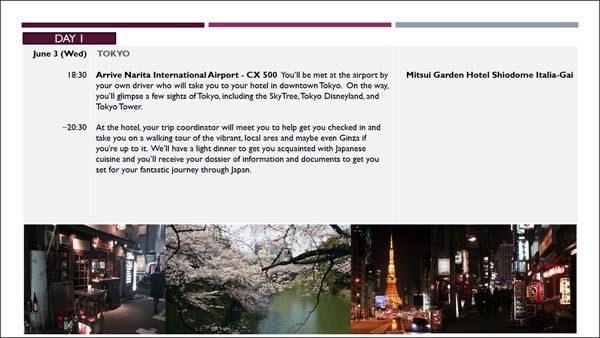 For corporate travelers, our unique experience, approach, local focus and flexibility makes us a favorite of businesses and travel companies for Meetings, Incentive, Conference and Event travel of all kinds in Japan. We’ll keep it simple. Contact us and let us know a few details about your party and your interests. We’ll take it from there. A Japan experience designed exclusively for a manufacturing sector business incentive tour with families. A Japan experience designed exclusively for a couple celebrating a special occasion. A Japan experience designed for all ages. We really did go through back alleys and hidden passages to find some of the most amazing places – memories that I will have forever. Thank you for such fun and laughter. It was wonderful and so easy with Gary’s TLC for all of us. If you are travelling to Japan, go with Artisan Pacific Travel.